Do you want to experience the ultimate adrenaline kick this summer? 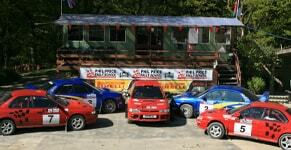 How about experiencing the ride of a lifetime at Phil Price Rally School? Few experiences surpass getting behind the wheel of a Subaru rally car and zooming round one of the country’s most awesome rally stages. Phil Price Rally School specialise in the best driving experiences imaginable and promise plenty of time spent in our fully prepared rally cars, where you’ll be instructed by passionate co-drivers. 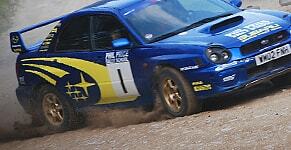 With our one-to-one tuition, you can quickly learn all the basics of rally driving. Described as ‘absolutely spot-on’ by a previous participant, our One Day Intense Course is excellent value for money. Our venue is based in Powys, one of the most preserved areas of Wales, and gives you incredible views over the surrounding countryside. Most of this area is mountainous which means it has incredible views. Located in the centre of the rugged Welsh countryside, our rally stages are so good they’re used for pre-event testing. All of our One Day Intense Courses culminate in a competition between other participants which gives you a chance to try out your newly learnt skills. Our action-packed 7 hour days attract participants from all over the country. Discover why we offer the best driving experiences today.